d.j.v. 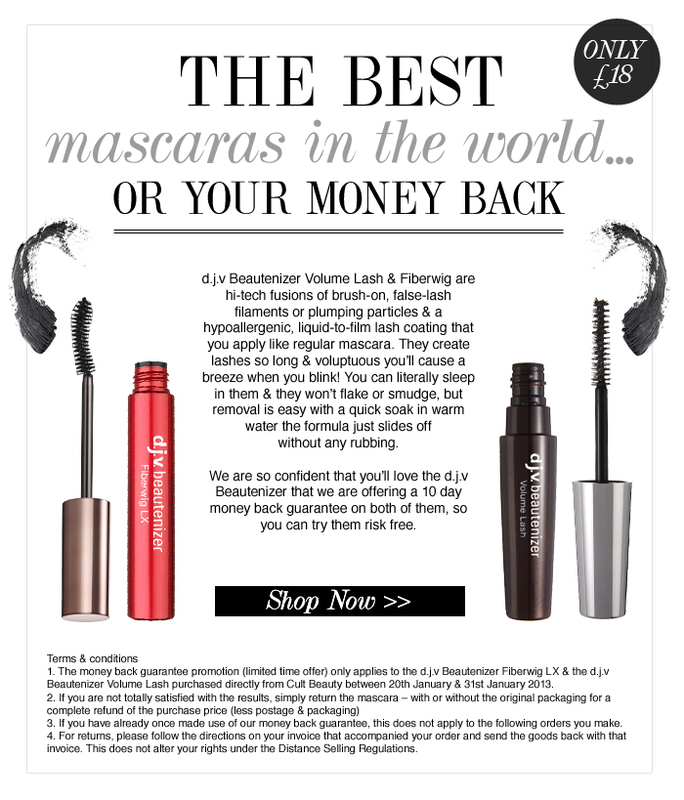 Beautinizer Mascara – Love it or your Money Back! I thought that this offer might interest anyone who has been sitting on the fence about d.j.v. Beautinizer Mascara. 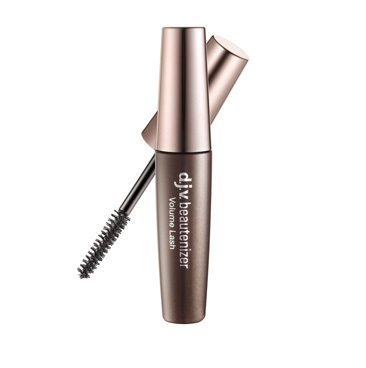 I’ve gone on about the Volume Lash version forever; it’s one of my most-used makeup products. It coats the lashes with a kind of film rather than a liquid mascara – it won’t budge even if you sleep in it or take a shower. To remove it you need to press a warm facecloth over the eyes and hold it on for a good ten seconds or so. Much kinder to the lashes than constant pulling and scrubbing, I think! At the moment Cult Beauty are doing a money-back guarantee on this mascara – if you don’t like it then you can return it within 10 days for a full refund. Risk-free beauty shopping – I like it! The offer also applies to the Fibre Wig version which is less volumising, more lengthening. Both are great, but I prefer the Volume Lash – it has more of an effect. You can see my full review on it here, and if you type d.j.v. beautinizer into the search box all of my videos and mentions will be listed. See the little poster below for Terms & Conditions!